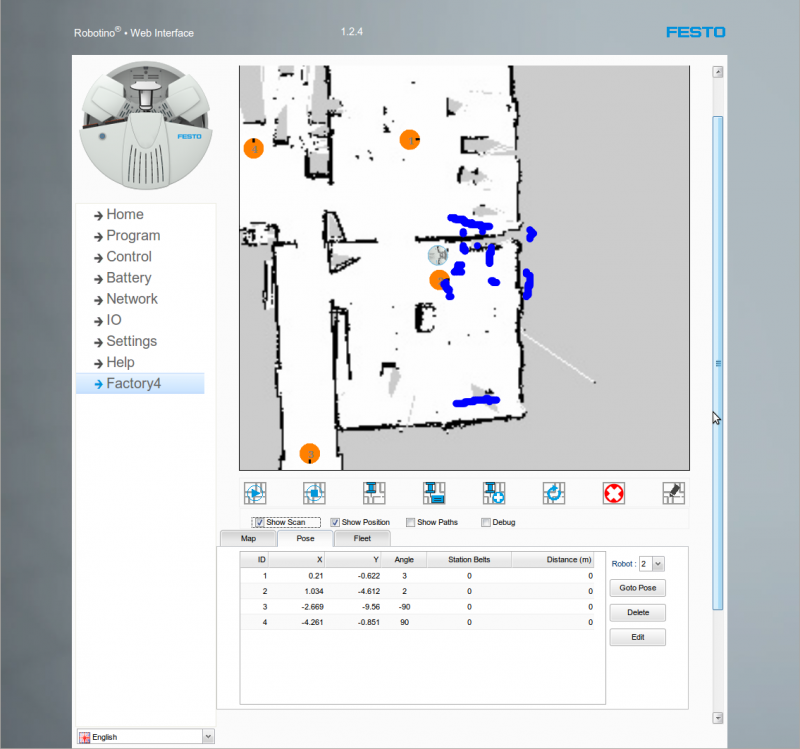 Robotino Web Interface provides a convenient way to remote control Robotino, execute Roboview programs, and even do mapping and navigation tasks. The Web Interface can be used with any modern browser without any plugin, and therefore also on smartphones and tablets. Command the movement of Robotino in either Velocity Mode or Distance Mode. Pictures from the camera and distances measured by the IR sensors are also displayed. Based on SmartSoft and SmartMDS, Robotino (with a laser rangefinder) can perform mapping and navigation tasks out of the box, using purely the Web Interface. RoboView programs can be easily uploaded and executed. Using the Web Interface, battery info and other status of Robotino can be inspected. network and other settings can be modified. 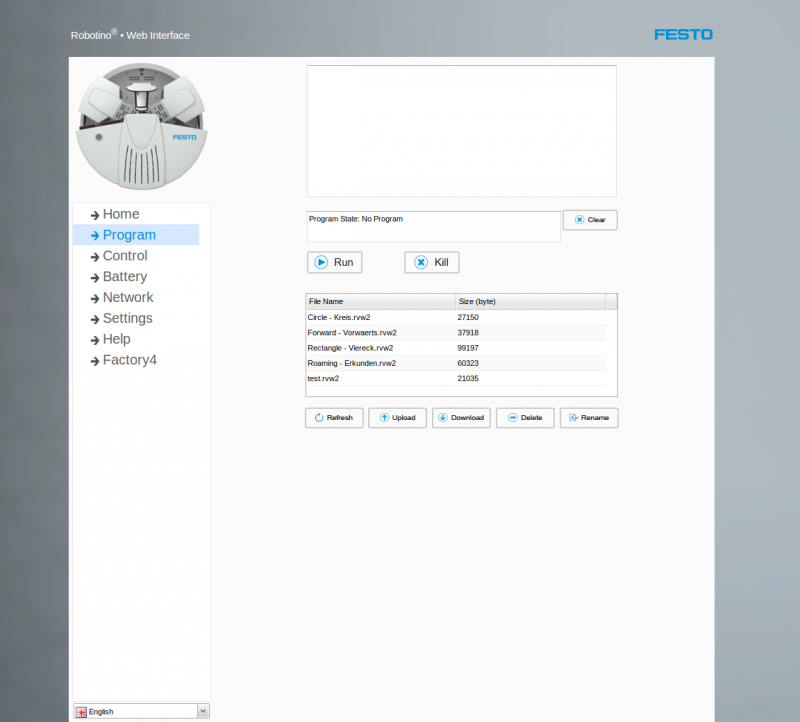 Robotino Web Interface is pre-installed on Robotino® 3. Nevertheless, it can be built and installed from source as instructed here. Robotino Web Interface has many functionalities. The detail information for developers can be found here. This page was last edited on 30 March 2017, at 13:33.